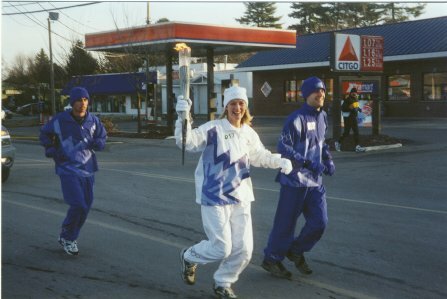 46 states, 16,000 miles and 2 car crashes later we delivered the Olympic flame from Atlanta to Salt Lake City. Remarkable at the time was the focus that Chevrolet had on trucks. The”halo” vehicles were the new Avalanche, the Tahoe Z-71, the TrailBlazer, the Suburban and the Silverado. The vehicles were selected for obvious utility reasons but it goes deeper than that. We were mid stream in the consumer obsession with SUV’s and trucks. It seemed the only attractive car that Chevy made at the time was the Z-06 Corvette (which this writer managed to propel over 120 mph on a somewhat snowy highway outside of Rochester NY!). The other cars were the Impala and Monte Carlo. Yes the Impala was redesigned but noone really stood back and took notice of the cars…it was all about the trucks. What a remarkable ride. Post 9-11 America, patriotism bursting out all over, the Olympic brand strong and no real disruptive protesting. Truly a great fit for the Chevy brand – hit the magical combination of the Olympic Games here in the U.S. coupled with an intense (but alas…brief) period of unification and patriotism in the U.S. If you happened to be in Atlanta (and on I-85 specifically) on Saturday you probably saw a vehicle caravan unlike no other: 100 Camaros heading down to Centennial Park. This was the mother of all vehicle convoys…rivalling what the Prez would command coming to town. 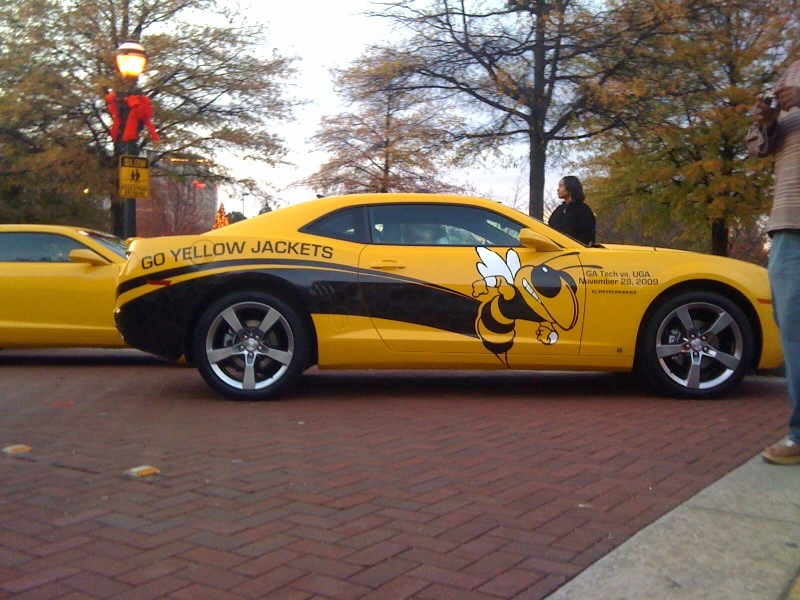 And the kicker was that 50 were red for the Georgia Bulldogs…and 50 yellow for the hometown Georgia Tech Yellow Jackets. Needless to say, the vehicles made quite an appearance at Centennial Park when the nearly 2 mile long caravan snaked off of the highway and onto the city surface streets. At 304 horsepower each, you’re talking nearly 31,000 HP…now that’s some serious muscle! 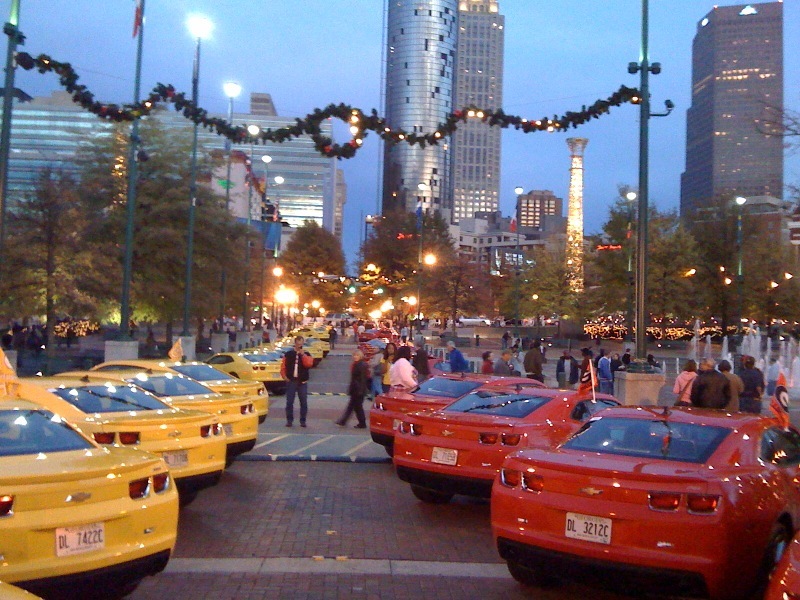 Nearly 200 Chevrolet dealers from all over the state of Georgia traveled some 75 miles. Their reward for the haul? 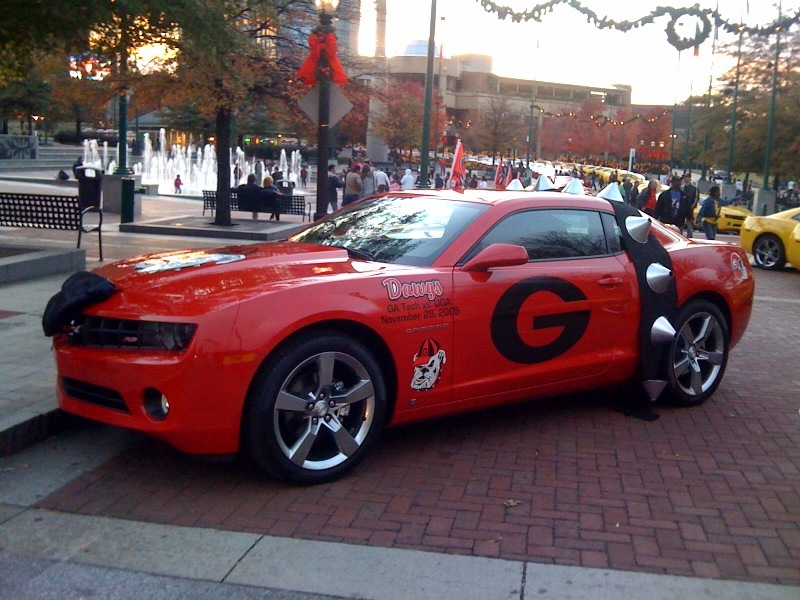 A trip in a luxury coach to the Georgia/Georgia Tech football game…this trek only a mile. LiveLink Events had the unique opportunity to serve as the lead event management agency with this assignment. Truly unforgettable experience!